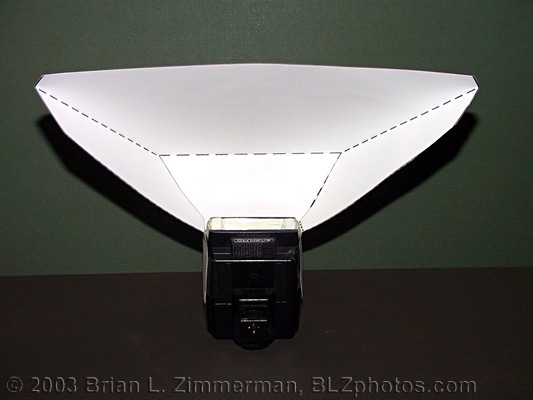 Here Brian shows how to build a homemade cheap flash bouncer. 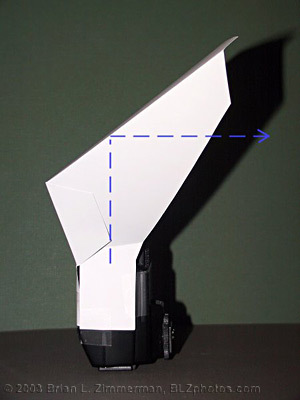 The flash bouncer can be used to increase the size of a hot-shoe flash. The bouncer is great and very easy to build. 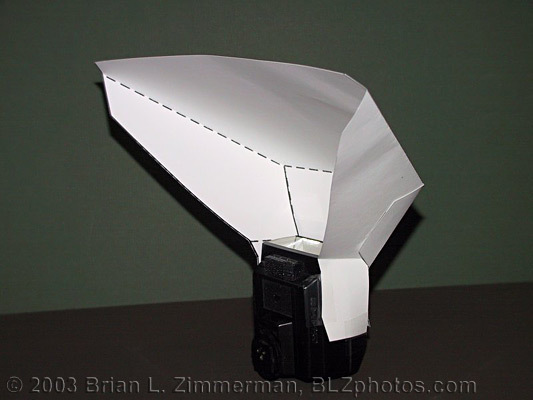 An alternative to the bouncer is the home made softbox. 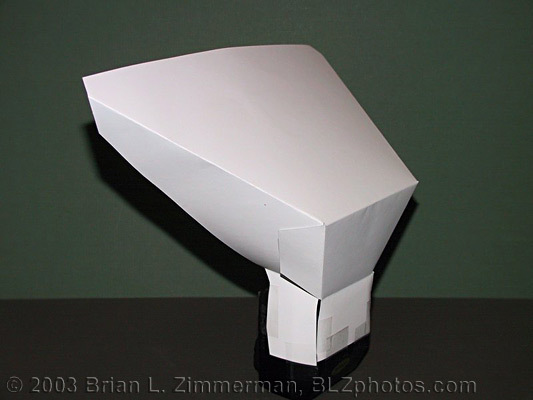 Another option for building this homemade flash bouncer is to use polypropylene sheet, it is sterdier then cardboard. Enjoy your read, Udi. 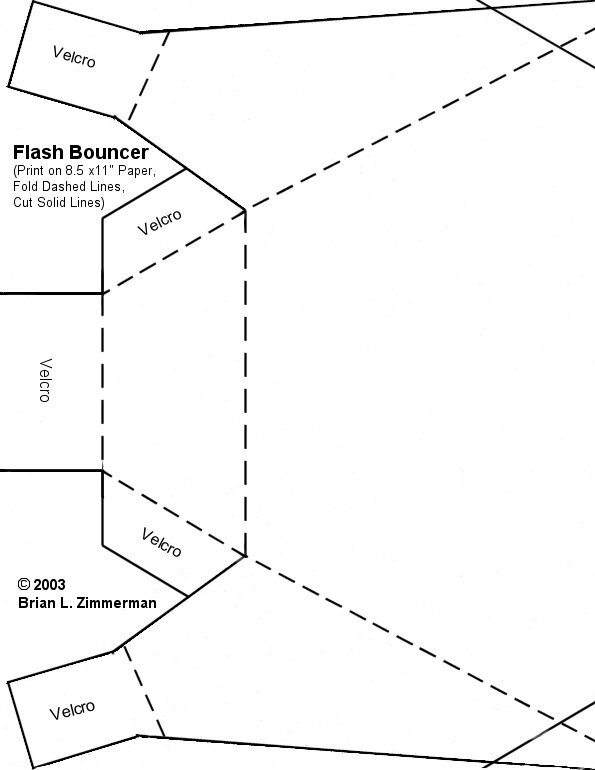 Print this image on 8.5 x 11″ paper with zero margins and use as a template to create a Mini-Bouncer for your hotshoe flash (choose “original”, 595×770 size and print at 70 dpi, 99 or 100% scale on 8.5 x 11 paper). 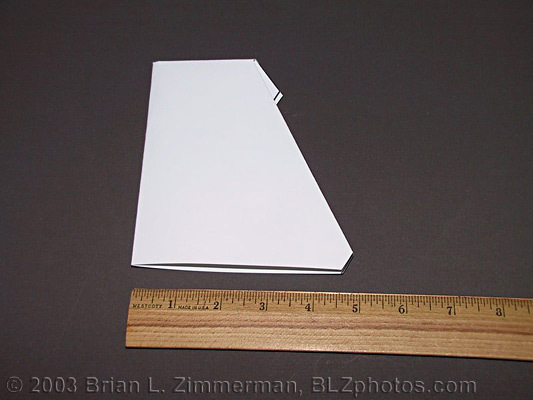 Use heavy weight photo paper or cardboard, or cut from two sheets of heavy white & black vinyl, then heat seal or glue together at folds and edges with cut up cardboard pieces sandwiched inside. Apply self-adhesive Velcro strips inside the flaps to attach to flash head. 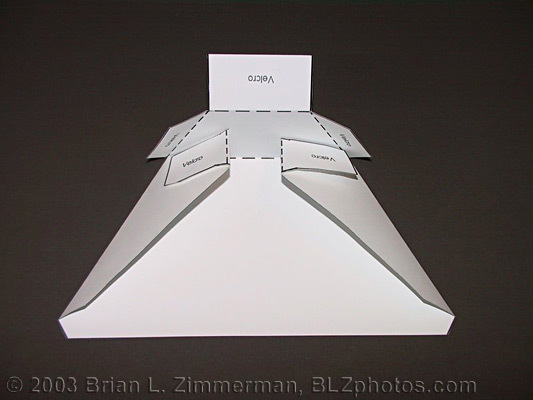 Pattern and image © 2003 Brian L. Zimmerman. OK to print for personal, non-commercial use. 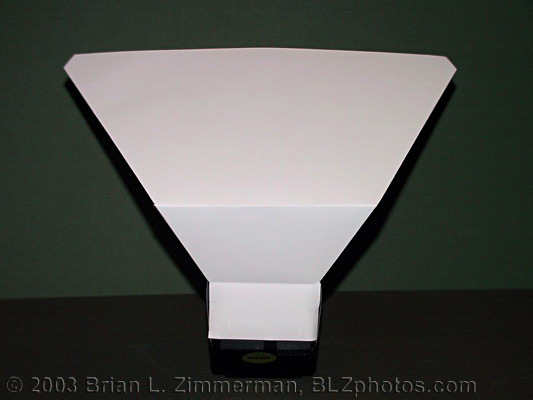 Cheap photo paper version taped to flash for demonstration (could be used this way too). Pattern may be transferred to another heavier more durable material. 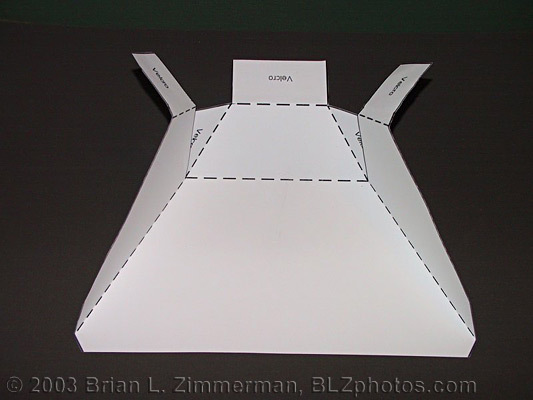 For storage, fold flaps inward, then fold in half. 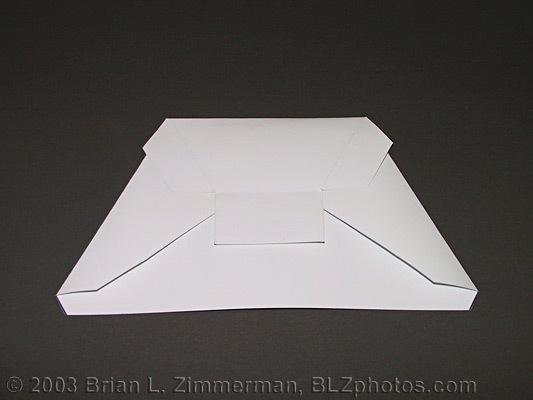 Folds to fit within a 5-inch square.